A car accident, no matter how major or minor, can cause significant setbacks for you and your family. Depending on the nature of your accident, you could sustain injuries requiring significant medical attention, time off from work or perhaps permanent disability benefits. The most serious, unfortunately, can result in the wrongful death of a loved one, which may have put your family in financially insecure circumstances. 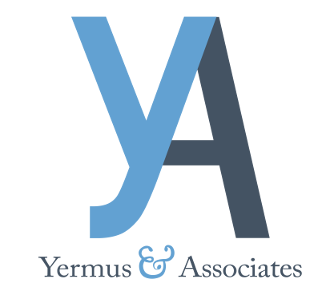 Yermus & Associates, and his legal team take care of the legal details of your motor vehicle accident claim so you and your family can focus on recovery. We represent clients who have been injured in Toronto and throughout the Greater Toronto Area (GTA), Ontario. We strive to go above and beyond for our clients. This means we will take steps to verify the facts and evidence of your case, engage the appropriate medical or auto-mechanical experts needed to assess the proper value of the claim, and negotiate with the insurance company on your behalf. We seek the maximum amount of benefits and compensation you and your family are entitled to receive for your immediate and long-term needs. Our firm accepts claims on a “no-win, no-fee” basis, meaning we do not collect any fees unless or until we obtain a successful settlement for you. This includes your first consultation. Contact our firm by calling 416-229-HURT (4878) or 800-682-8574 toll free to discuss your case with our Toronto car accidents lawyer, Michael A. Yermus, in a free consultation.